This is a gorgeous piece of art. Lovely Topaz Crystals mixed with Light Olivine. Handmade Exquisite Set! 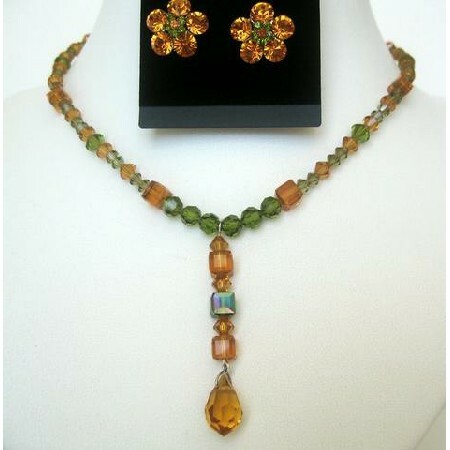 All A Grade & Swarovski Crystals Material are used to make this beautiful Stunning Necklace Set.